Many railway historians and enthusiasts only know about the railways in the Barry area, because of Woodham Brothers scrap yard, where so many locomotives were rescued for preservation. “The Barry story is far more than the location of a once-famous scrapyard which, by the end of the 1960s, held over two hundred condemned locomotives. 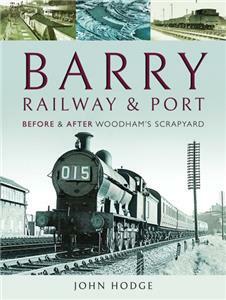 This book covers the history of the railway and docks at this fascinating town, from the construction and opening of the Barry Railway and Dock in 1888/9, through to the demise of its principal traffic, coal, in the early 1970s, and on to the present day.